Hearing dogs must have the ability to adapt to many environments and situations. 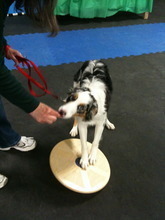 Here, Breeze is training on a balance board. 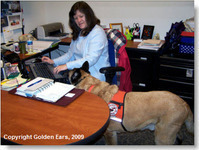 A dog may encounter many types of terrain when working in public. They need to be comfortable in facing new and unusual situations.